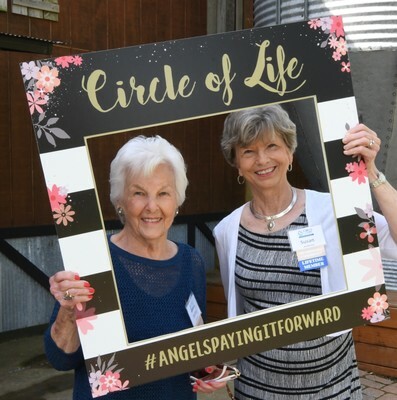 Founded in 2014, the Ladies Auxiliary is committed to building a passionate network of women who support Circle of Life Hospice's programs and services by making a difference through advocacy, volunteerism and philanthropy. Membership requires a minimum commitment of $25 per year. Lifetime memberships are available with a minimum one time gift of $500. Membership fees will be used exclusively for the Angel Fund. This fund is used for special needs that directly impact Circle of Life patients and/or their family members. We would like to send you birthday wishes! Please let us know the month and day of your birthday. By clicking the above button you agree to have your debit or credit card or bank account charged by Circle of Life Hospice. By clicking the above button you agree to submit offline payment to Circle of Life Hospice. Call 479-872-3327 or email [email protected]. 901 Jones Road, Springdale, AR 72762 US.